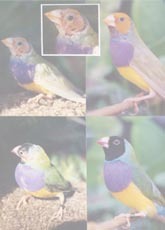 Like other canaries, Colorbred Canaries can be traced back to their origins in the wild canaries of the Canary Islands. The original red canaries were produced from the rare fertile hybrid offspring of a Venezuelan Red Siskin (South American Black-Capped Red Siskin) crossed with a normal yellow-ground canary by a German breeder known as Dr Hans Duncker. To enhance the color of the Red canaries, most enthusiasts recommend “color feeding”. Experts recommend using a carotenoid concentrate to bring out the full potential in the red canary’s plumage. 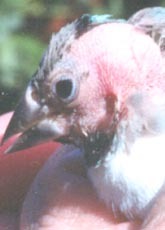 Feather color is dietary-dependent in species with carotenoid pigmentation. Red factor and new color canaries fall into this category. They require exogenous sources of carotenoids or related substances to enable full development of yellow orange and red pigments in their feathers. Foods for these birds should therefore contain carotenoids and xanthophylls to enable their proper color development. Bee Pollen is another source of the usable carotenoids pigment, apocarotenol, that produces yellow to orange hues in the feathers. Dufoplus has a positive effect on the color of feathers. It is rich in a high quality vitamin A. Vitamin A has a positive effect on the naturally occurring yellow pigments found in feathers. It produces a greater depth of color to the feathers without being a color agent. It produces its effect by enhancing the health and the physical structure of the feathers. Bogena Intensief red colorant is a water-soluble powder, which promotes red color in feathers. Bogena contains natural vegetable colorants, provitamin A, which turns into vitamin A in the body, vitamin B2, C, and carotene pigment. Bogena Intensief may be added to the drinking water by dissolving 10g in 1 liter (quart) of warm water (1g = ¼ teaspoon). Bogena Intensief may be added to egg/soft food. As a general rule the manufacturer suggest a mixture of 10g of Intensief with 1kg ( ) of egg/soft food. Give fresh twice a day, during the molt and during breeding. Results will only be obtained by feeding Intensief during the molting season, starting at least one week before the molt. Sale! Bogena Pheapar Red Intensifier- add to water during molt to intensify red color. Since all birds have differing absorption rates, the canary breeders that I have spoken with tell me that you should not see any red coloring in the droppings of your birds. If you do, then you will need to decrease the amount of powder to water ratio, until the red color disappears from the droppings. 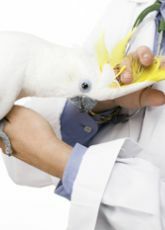 *Note: A xanthophyll food dye, containing 10% xanthophyllis and canthaxanthadine is potentially liver toxic to birds and must always be used in accordance with dosages calculated by experienced canary breeders. Many breeders use Bognea Intensief mixed with Carophyl (cantaxantine). The combination of the two products will promote intense red color throughout all the bird’s plumage. The cantaxantine is very effective at coloring the contour feathers and Bogena is good on the longer feathers on the wing and tail. The products can be mixed into eggfood/nestling food recipes or in the drinking water. Canary breeders that use this combination dilute the strength of the Bogena/Carophyl R combination mixture to half of the recommended strength on the manufacturers feeding directions. A working solution is made by dissolving 1 tablespoon of Canthaxanthadine powder in 1 quart of boiling water. For soft foods, 6 teaspoons of the cooled working solution is then mixed into 1 ½ cups of soft food using an electric blender. The working solution may be mixed with the soft food until it is a pale pink color. The working solution replaces the birds’ drinking water and should be refreshed daily. The working solution must be stored away from sunlight in the refrigerator. Canaries enjoy the taste of the color additive. Note: Most experts feel there are not health risks associated with carotenoid concentrates, as long as the doses are administered in the correct quantities and are not fed continuously all year round. It is always advised to consult your veterinarian regarding your canary’s diet. 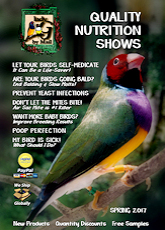 Note: A xanthophyll food dye, containing 10% xanthophyllis and canthaxanthadine is potentially liver toxic to birds and must always be used in accordance with dosages calculated by experienced canary breeders.